Choose a sell order and click the "Buy" button. If you have your own order that is active and visible in the Orders tab then this order is marked with different color and the button label is changed from "Buy" to "Order". After clicking the "Order" button you will be redirected to your profile on the order list page with the given order marked. When you select "Depth of market" tab you may buy BTC with multiple orders processed at once. In the "Depth of market" tab you may see how the amount of BTC to buy gradually decreases. Select the amount of BTC you wish to buy and click on the button "Buy" in the respective row. After clicking on the button a form with preset amount of BTC and maximum BTC rate according to your choice will be displayed. In this column the pair of the values divided by a slash is displayed, e.g. 0.1 / 0.05. 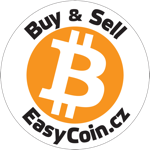 This means that the seller sells in total 0.1 BTC, but also accepts lower sale orders up to 0.05 BTC. You may therefore buy up to 0.05 BTC from this order, but also an amount between 0.05 BTC and 0.1 BTC. Here you may set your own order to sell your BTC. After clicking on the button a form for setting an order will be displayed. After setting the order is paired with the best BTC buy order, or if there does not exist any BTC buy order, which would meet your preset of the limit rate per 1 BTC, your order will be displayed in the "Sell orders BTC" table on the left. Choose a buy order and click the "Sell" button. If you have your own order that is active and visible in the Orders tab then this order is marked with different color and the button label is changed from "Sell" to "Order". After clicking the "Order" button you will be redirected to your profile on the order list page with the given order marked. When you select "Depth of market" tab you may sell BTC with multiple orders processed at once. In the "Depth of market" tab you may see how the amount of BTC to buy gradually increasing. Select the amount of BTC you wish to sell and click on the button "Sell" in the respective row. After clicking on the button a form with preset amount of BTC and maximum BTC rate according to your choice will be displayed. In this column the pair of the values divided by a slash is displayed, e.g. 0.1 / 0.05. This means that the buyer buys in total 0.1 BTC, but also accepts lower buy orders up to 0.05 BTC. You may therefore sell to the buyer up to 0.05 BTC from this order, but also an amount between 0.05 BTC and 0.1 BTC. Here you may set your own order to buy BTC. After clicking on the button a form for setting an order will be displayed. After setting the order is paired with the best BTC sell order, or if there does not exist any BTC sell order, which would meet your preset of the limit rate per 1 BTC, your order will be displayed in the "Buy orders BTC" table on the right.